The Scholastic Bowl team pose with their state championship trophy. (L-R) junior Tim Cho, sophomore Dylan Bowman, freshman Jonathan Lau, and sophomore Ethan Ashbrook. Photo courtesy of Dylan Bowman. 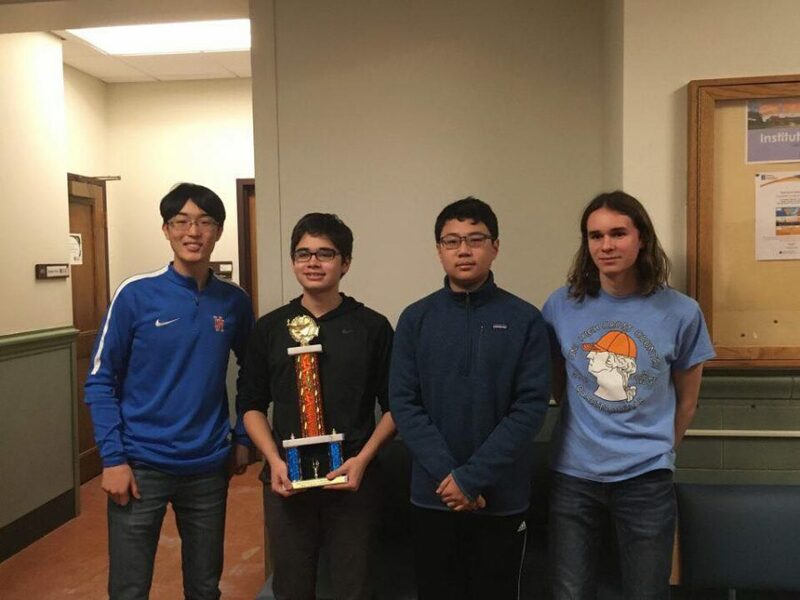 The Scholastic Bowl team consisting of junior Tim Cho, sophomore Ethan Ashbrook, sophomore Dylan Bowman, and freshman Jonathan Lau won first place at the National Academic Quiz Tournament State Championship (NAQT). By winning the tournament, they have qualified for the National Championship in May. Since the Scholastic Bowl team won a state championship last year, IHSA rules required them to get bumped from 1A to 2A. Participating in 2A this year, the NAQT State Championship was the first state championship the team has won at the highest division of competition. “Nationally, this [NAQT] is probably more important than IHSA,” said Team Captain Tim Cho. Uni was against Auburn High school for the championship game. Coming into the tournament Uni was seeded third while Auburn was seeded first. In addition to their big win, the season has been bright for the team. As a result of their no-cut policy, the Scholastic Bowl team as a whole splits into the number of people allowed on a team. If, for example, a tournament allows five people teams and they have 15 students, then they send three teams dubbed A, B, C. At the NAQT tournament, which was a qualifying tournament, two groups (A and B) from the team qualified and participated. The A team won the tournament. Hello! 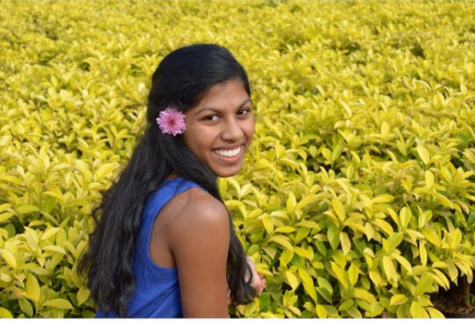 I am currently a junior and I have been in journalism since sophomore year. In my free time, I like to run, play soccer, and watch tv. 1. Uni won the class A championship in 2015 (before any of us were even old enough to be on the team) and we have been competing in 2A since 2016. Uni won 2nd place in 2017, losing to IMSA 500-320 in the final after defeating three schools that have several times as many students as Uni. 2. NAQT and IHSA are not affiliated in any way. Being bumped up to class 2A in IHSA has no effect on Uni’s status as a small school in the eyes of the NAQT State administrators, and the tournaments have different enrollment cutoffs for what constitutes a small school. IHSA defines a small school as having less than 700, while NAQT defines small school as having less than 750 in the top three grades (350 for selective-admissions/non-boundary schools). At the NAQT State Championship, we competed in the large school and small school divisions, winning first place in both. 3. NAQT hosts a national championship in May, while IHSA only has jurisdiction in Illinois. In addition to the IHSA State Series, teams in Illinois participate in many NAQT qualifiers and independently written tournaments. In the eyes of Illinois players, the NAQT Championship is the most prestigious state championship out of the three that take place each year. 4. At most tournaments, prizes are given to the 8 (or 10) players with the highest PPG in the preliminary rounds. The recipients of these awards are usually players who are the strongest member of their team and have very high PPGs as a result. At many tournaments, several strong players do not make the “All-Tournament Team” because they are on a stacked team playing with other good players.